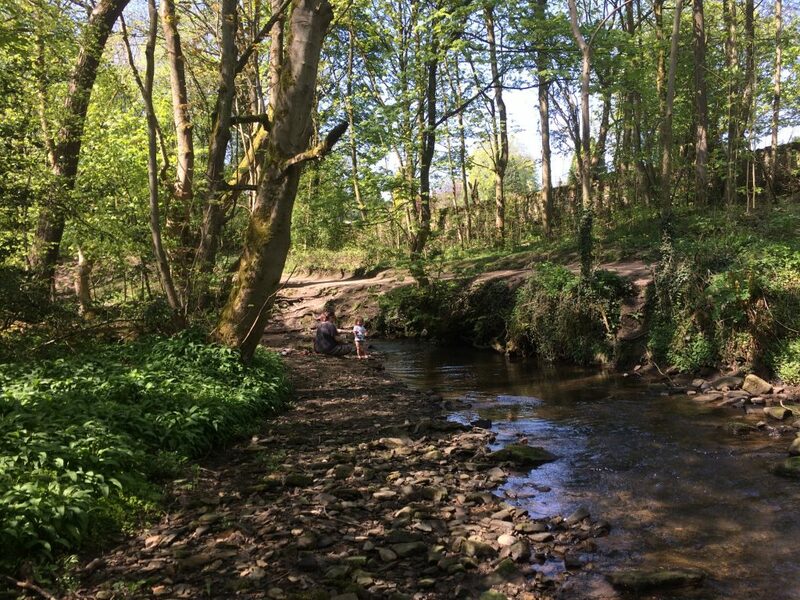 We’ve just had a wonderful scorching hot May bank holiday and spend 3 days paddling in the countryside. 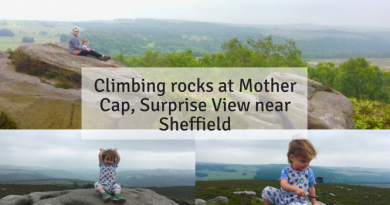 What’s fantastic about these places is that they’re all suitable for public transport, not too far from Sheffield, FREE and you can get to all of them with a Sheffield day bus ticket. 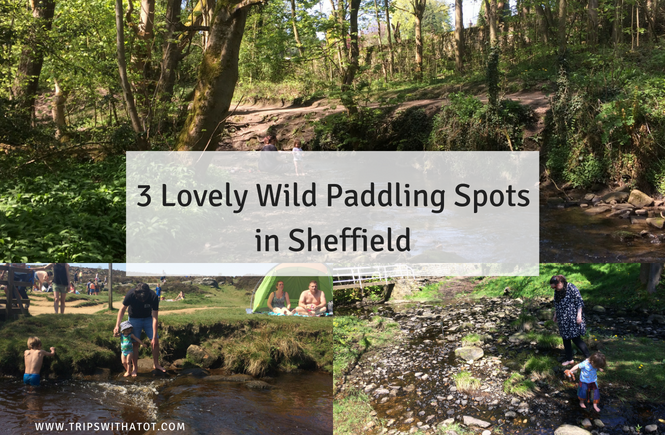 Here’s 3 Lovely Spots for Wild Paddling in Sheffield. We took a bus from Hillsborough: the 61/62, which doesn’t take long at all. Enjoyed a picnic on the bowling green which was quite busy & cricket was on so there was a good atmosphere. After eating we walked just behind the bowling green to where the playground is, and behind the tennis courts found a little place to paddle. There’s lots of tennis balls here to find in the water that have escaped from the tennis courts, too! Bus from Hillsborough to Broomhill (52a) then bus from broomhill to Fulwood (120). This took over an hour because of Sunday services, it was super hot & Eric had a huge tantrum on the last bus, and was crying for about 45 min after so that was hard. 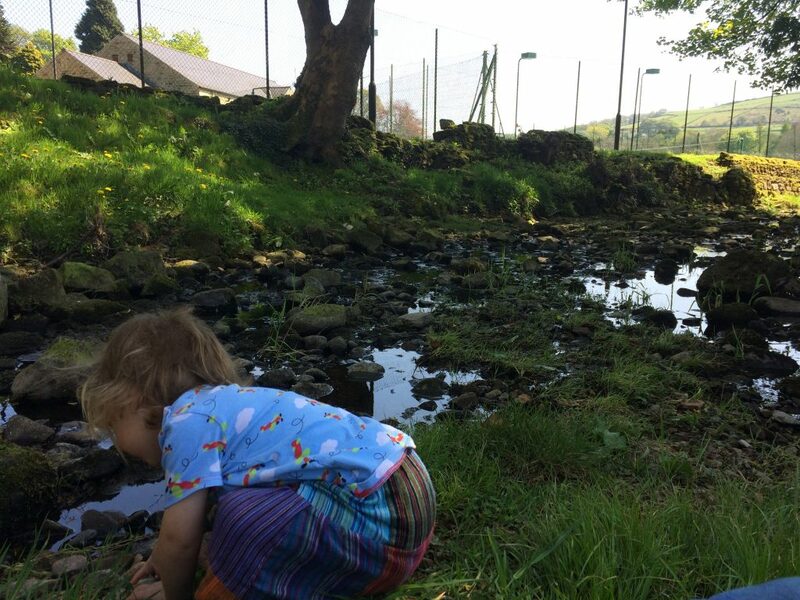 Once we arrived, he didn’t want to sit outside so we sat in the cafe, played in playground a bit which he loved. 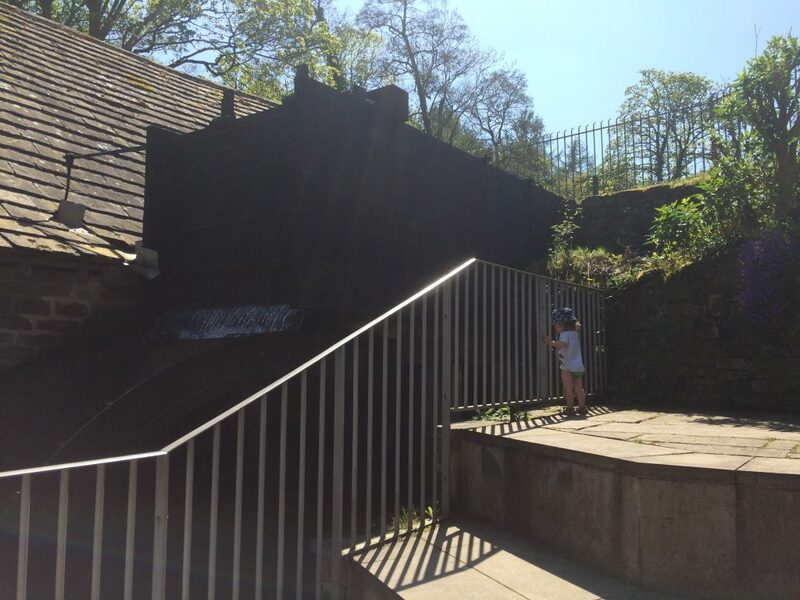 Then went for our walk from Forge Dam to Endcliffe Park. There’s multiple little paddling spots along the way; deep in the woods are the best, most secluded places. 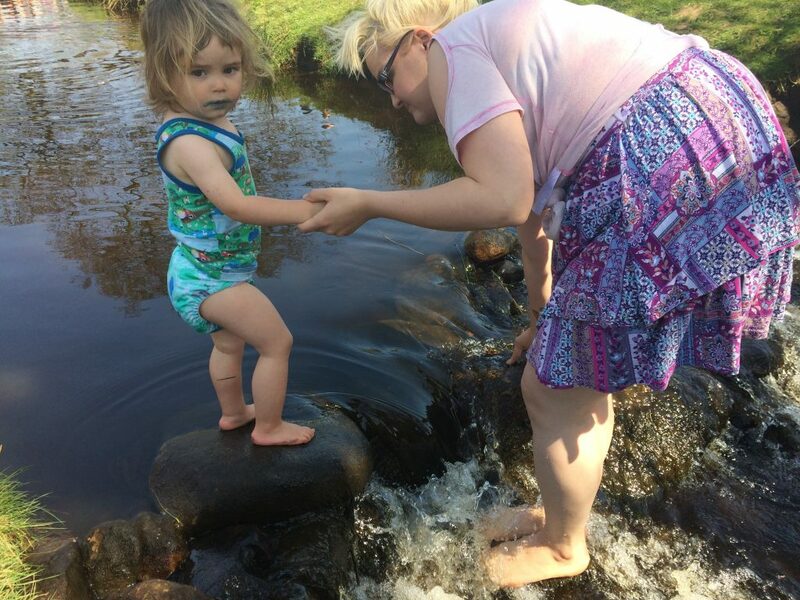 The water very cold but lots of spots to explore & “hiding places”. Eric loved it. Paddling spot: Water very shallow. 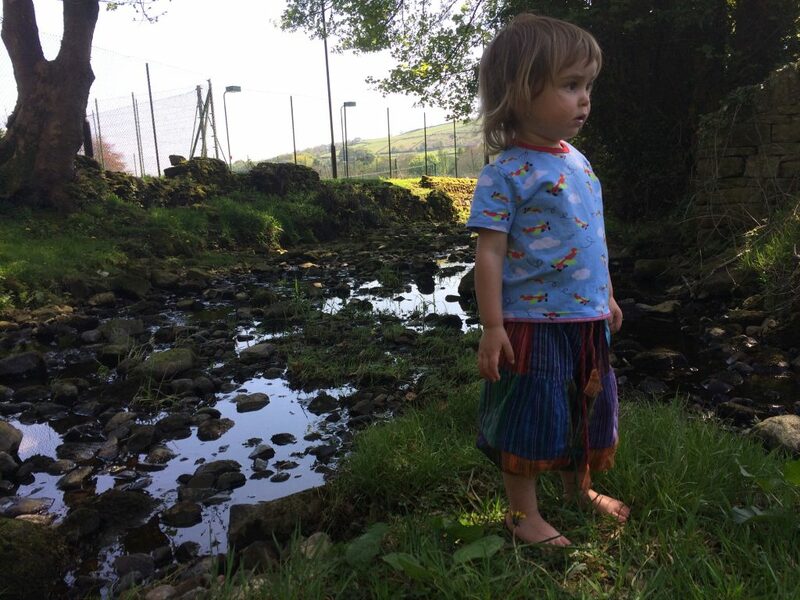 Waterfalls, birds and little mud. Big rocks to sit on near the water and lots of sticks! Shepherds Wheel workshop Museum was open along the way so we popped in there too (free). Eric fell asleep shortly after and he was really over heated and had walked for a long time. Fun rating 9.9/10 always one of my favourite days out but we had a bit of a bad morning. 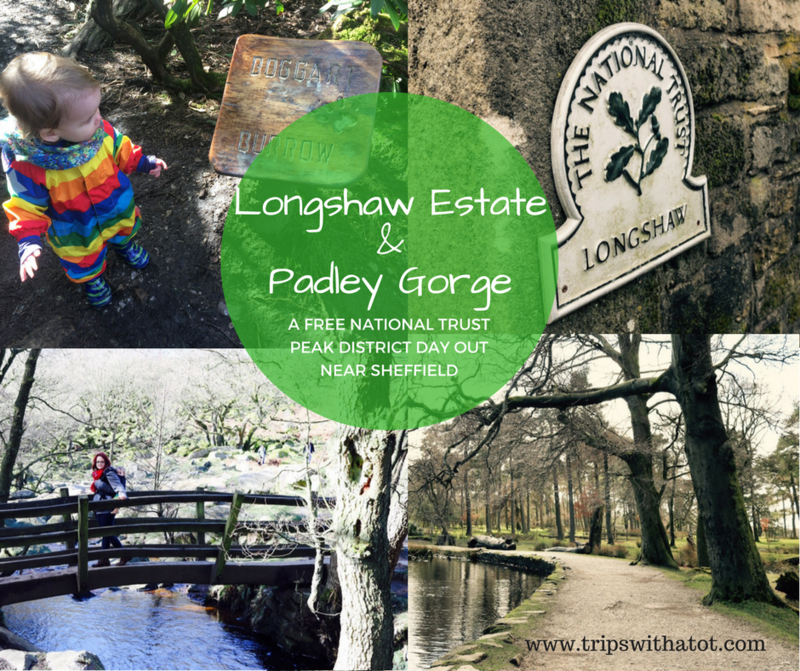 One of my favourites: Longshaw & Padley Gorge. We traveled by tram from Hillsborough to Sheffield city centre then caught the bus 271 to Castleton, got off at Fox House using a Sheffield day ticket (£4 each). The bus was sooooo busy with students, walkers and families. It was scorching hot, Eric hated it and the whole journey took nearly 2 hours because of waiting 20min for bus, plus traffic and the bus stopped at nearly every stop from Sheffield to Whirlow. 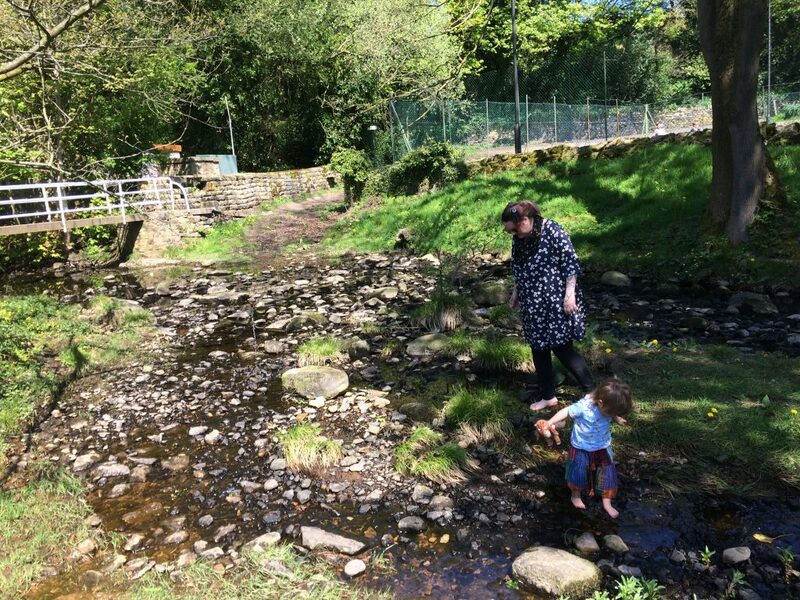 We got stuck in straight away and walked from Longshaw Estate through to Padley Gorge finding the Bogart homes, exploring dens, climbing trees and walking barefoot most of the way. Lots of fun! And we did it all barefoot too even in the squishy mud. 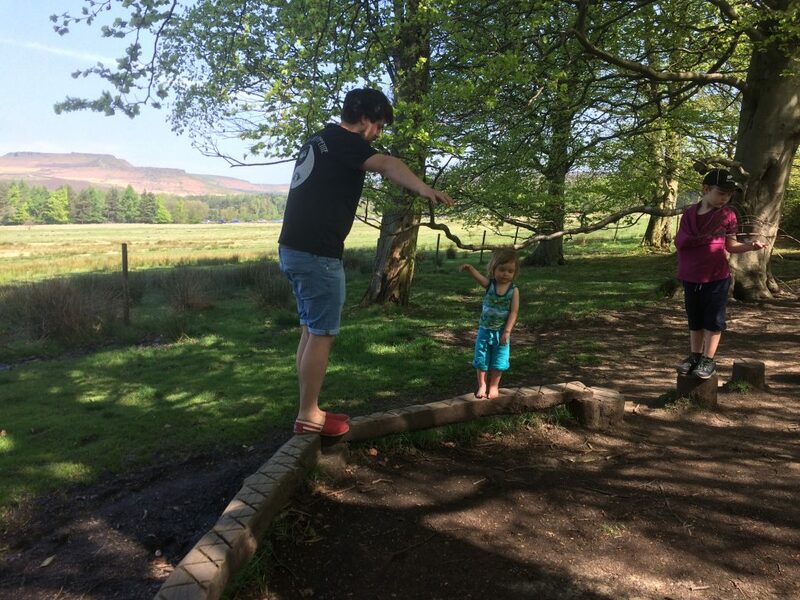 It’s 1/2 mile from Longshaw to Padley Gorge so we had to carry Eric quite a bit of it as he was wanting to stop for a picnic at Longshaw but our end destination was Padley Gorge. Once there: WOW, I’ve never seen it so busy! It was like being at the beach! We walked down, found a picnic spot & set up. For next 2ish hours we paddled, played and went for little walks. It was wonderful. Eric was just off exploring on his own climbing rocks & running through trees. We went in the water a few times & it wasn’t too cold, even knee deep at some points. 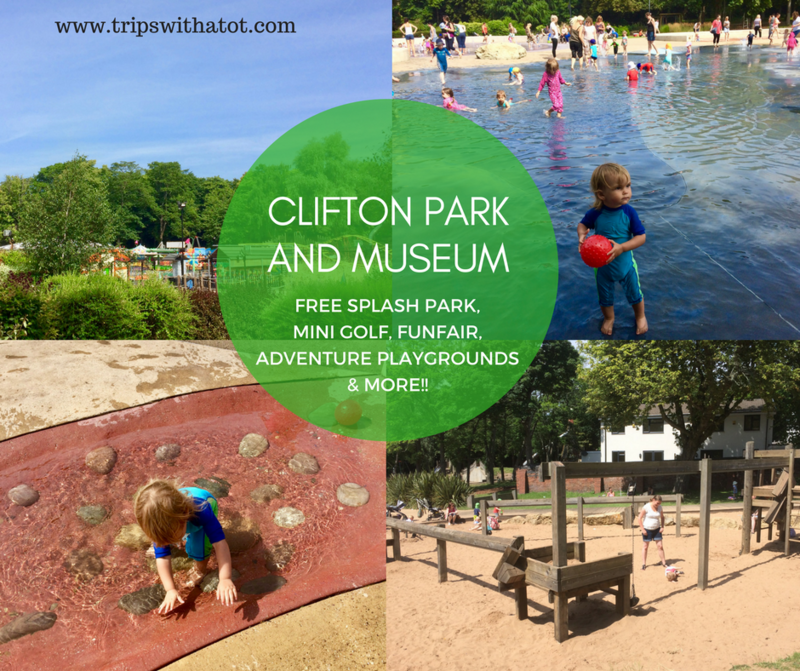 Lots of children playing, swimming, splashing; it was lovely atmosphere. 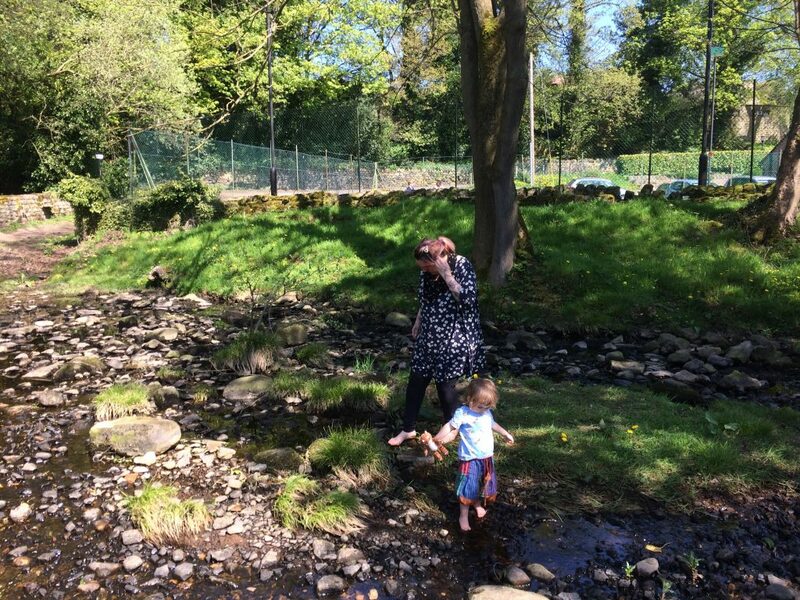 Paddling spot: Little too slippy for Eric to stand in on his own but he had lots of fun dipping his feet in, playing with a bucket & spade, standing in waterfalls and throwing sticks in. 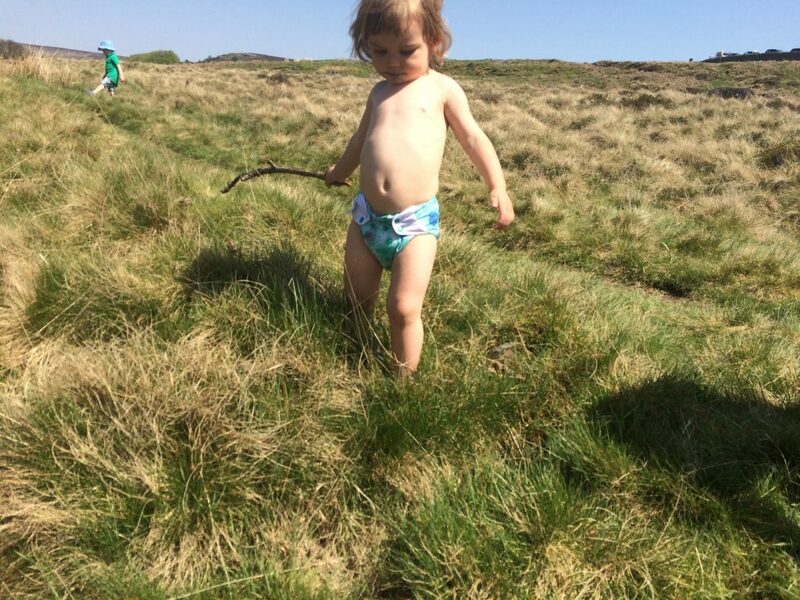 We walked back & along the way saw the cutest tiny little ducklings at Longshaw and played on the nature trail. Fun rating 10/10. 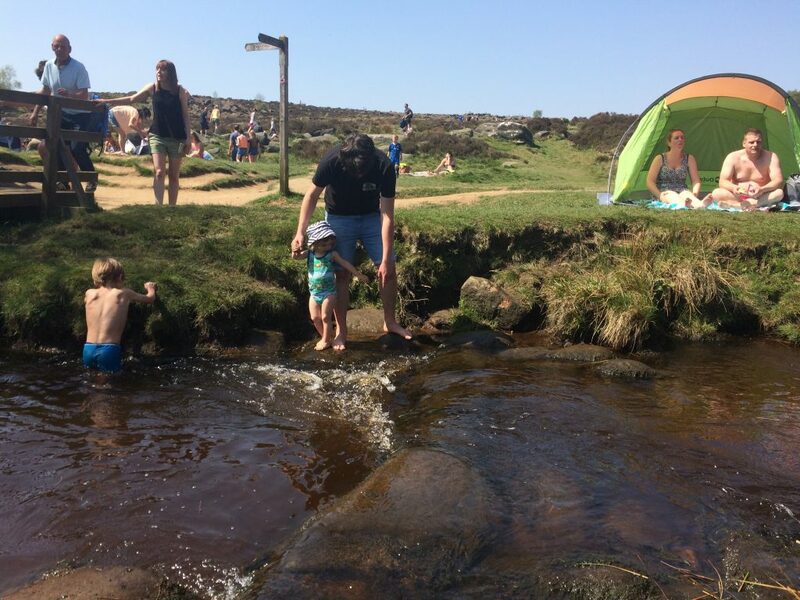 Do you have any wild paddling spots to recommend us?! I’d love to try some new spots!